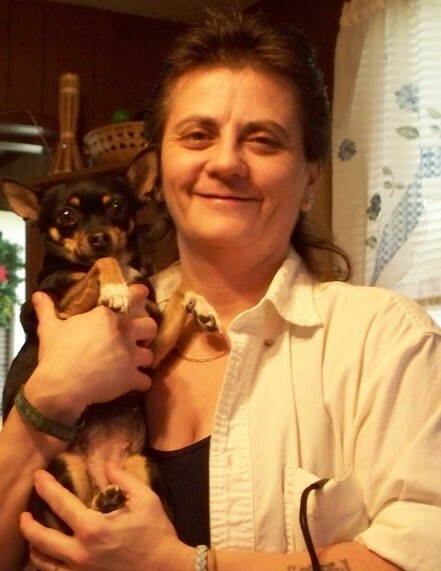 Cindi Fugett, 51, passed away in her home Sunday, January 27, 2019 following a period of declining health. She was born August 8, 1967 in Springfield, Ohio to Kenton and Faith Fugett. Cindi lived in Springfield all of her life and had a passion for friends, family, her dog, Misty, and her cats. She is survived by two brothers, Toney (Caron) and Danny (Connie); nephews, David Fugett, Toney (Amanda) Fugett II, Denzil (Kari) Turner II, Shawn Turner, Jeremy (Michelle) Turner; niece, Jennifer Fugett; great nephews and nieces, Greyson, Ryker, Denzil III, Juliana, Austin, and Harley; aunt, Karen Master; and a host of loving cousins and friends. Cindi was preceded in death by her parents, Faith and Kenton Fugett; her loving maternal grandparents, Mert and Myrl West; brother, Kenton Dwayne; and uncle, Robert Masters. A one hour Memorial Service will be held Saturday, February 16, 2019 at 11:00 a.m. in the Jerry W. Kinley Funeral Home Chapel, 1307 East High Street, Springfield, Ohio 45505 followed by burial at Vernon Asbury Cemetery.